The dedicated staff of Piped Piper step into the Funko spotlight! From HBO’s hit show Silicon Valley comes a Pop! Vinyl Figure of Jared. Packaged in a window display box, the Silicon Valley Jared Pop! Vinyl Figure measures approximately 3 3/4-inches tall. Ages 17 and up. Funko,Silicon Valley,Pop! Vinyl Figures,The dedicated staff of Piped Piper step into the Funko spotlight! From HBO’s hit show Silicon Valley comes a Pop! 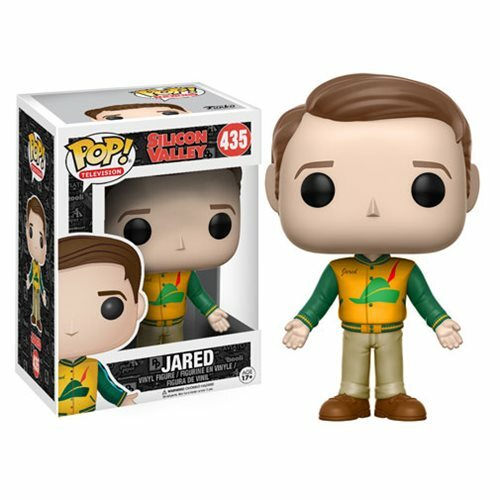 Vinyl Figure of Jared. Packaged in a window display box, the Silicon Valley Jared Pop! Funko, Pop! Vinyl Figures, Silicon Valley, The dedicated staff of Piped Piper step into the Funko spotlight! From HBO's hit show Silicon Valley comes a Pop! Vinyl Figure of Jared. Packaged in a window display box, the Silicon Valley Jared Pop!